Time to order your firewood! Support your local woodland, buy from us - phone Ruperra Countryside Services for logs and kindling - 07977 599181 or 07984 665958. Saturday Feb 2nd 10.30am Main car park Snowdrop Walk. They get better every year! 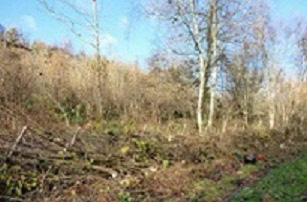 Come and see the results of the volunteers' clearing work. Leaders Sue/Bill. Feb 14th to 21st National Nestbox Week (see bto.org.uk for more info) when the British Trust for Ornithology encourage us to install bird boxes in our gardens to help our feathery residents raise their new families. If you don't already do this, and have space, why not put one up - it may not be used this year but something will be watching and waiting! Saturday March 23rd 10.30am Main car park Daffodil Walk. Is there going to be even more of an improvement in flowering? Come and see what it's looking like this year. Leaders Sue/Bill. 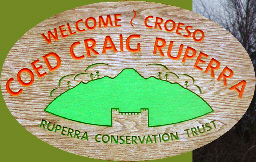 Saturday and Sunday April 13th and 14th 10am - 2pm Main car park Ruperra Beanpole Weekend. We are hoping to sell lots of lovely sustainable beanpoles, pea sticks and other coppice products so come along and pick some up, have a chat with us (or even just come over for a walk!). April 21st - Easter Sunday Don't forget - there's NO VOLUNTEER DAY!! Saturday April 27th 10.30am Main car park Spring Greens and Blues walk. Come for a wander round with us and enjoy the new spring growth - and probably lots of bluebells too! Leaders Sue/Bill. 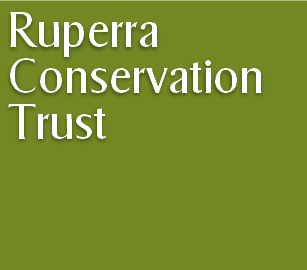 Saturday May 11th (or 18th if weather is poor) 5am Main car park Dawn Chorus - come and find out which are the real early birds at Ruperra! Leader Andy Bevan. 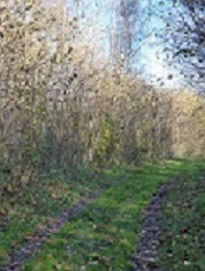 FUNDING NEWS We'd like to thank the players of the People's Postcode Lottery, who made it possible for us to lay 400 metres of native hedge for wildlife. Our hedgelaying team were funded by a fantastic grant of £9268, and the woodland birds, bats, dormice and insects will all benefit from the work. All walks begin at the main car park on the Draethen-Michaelston road (grid ref ST228871) unless otherwise stated. Please wear sensible footwear and clothing. All welcome to all events - including children and dogs! Please check before coming out if the weather is poor - we may cancel. Volunteer Sundays are normally held on the first and third Sundays of every month, as follows: February 3rd and 17th, March 3rd and 17th, April 7th, May 5th and 19th. (NB! - no work day on April 21st as it’s Easter Sunday). All are welcome. Come when you can, and stay for as long (or as short) as you want. Sue Price, our volunteer organiser (07977 599181) will meet you around 10.15 am at the Car Park unless otherwise stated. Midweek volunteer days: Strictly speaking, these are on the second Wednesday of each month: February 13th, March 13th, April 10th and May 8th. However, we are now up there most Wednesdays with our volunteers so if you want to come along, just ring Sue to check where to meet.